KISSIMMEE, Fla., August 10, 2007 – For the second consecutive day, customers of Kissimmee Utility Authority set a new system peak demand record for electricity use. KUA recorded an instantaneous system peak of 338.8 megawatts (MW) at 4:38 p.m. Friday, inching out the previous mark of 338.5 MW set on Thursday. The recorded system temperature at the time of today’s peak was 97 degrees. 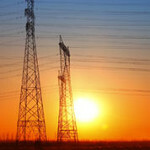 The new system peak marks the highest demand for electricity in the utility’s 106-year history. * Set the thermostat on the highest comfortable setting (KUA recommends 80 degrees). Raising the temperature just two degrees can reduce cooling costs by as much as five percent.